Each time you make a reservation through this website, your reservation is made directly with Iliana Apartments & Studios. As such, you are guaranteed the lowest possible rate, unlike reservations made through third party systems (whose prices include the given platform’s commission). To send a reservation enquiry directly to Iliana Apartments & Studios click here! 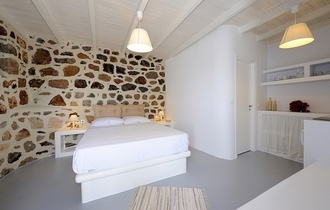 Αtop majestic Adamas, looking down towards the endless Aegean Blue and just a few meters from the main port of the magical island of Milos, dreams and luxury meet reality in an exclusive and magnificent way… Six studios and apartments “Dressed Up” in white, blue and grey, all set ready to entertain you... to offer days of delight and moments of indulgence that you will always cherish. Imposing doorways, ample interiors and shaded private terraces from where the magical and so famous sunsets can be enjoyed, capture the essence of old that is brought up to date with tasteful, fashionable and chic touches! 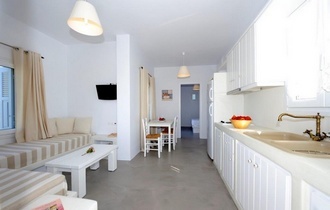 Our apartments are situated in an ideal location with direct and easy access to all the beaches of the island. 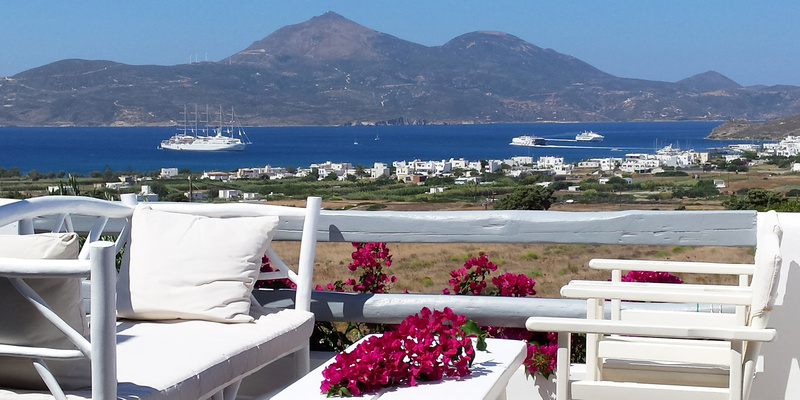 At a distance 600m the south you can swim in the central beach of Milos, Papikinou. To the north, less than 1500m away, you can enjoy the famous and spectacular beaches of Sarakiniko and Mytakas.